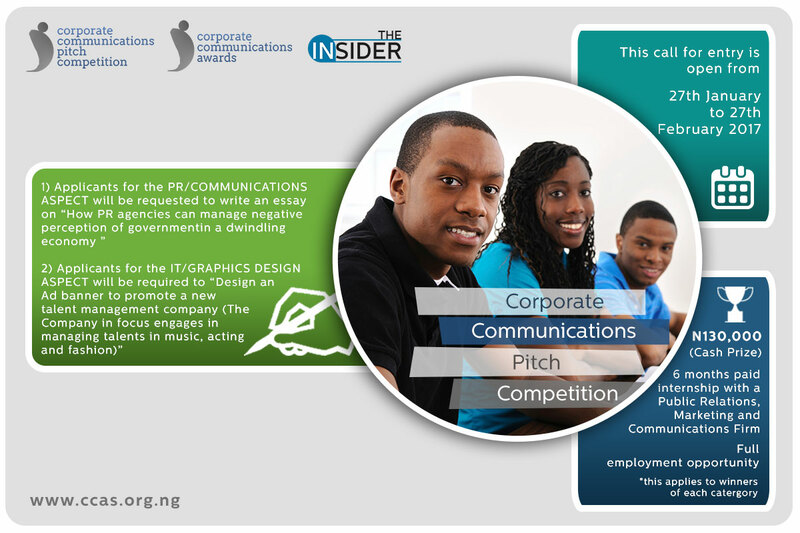 Sesema Public Relations, a leading Public Relations and Marketing Communications firm in conjunction with Theinsiderng.com, is calling for entries into the second edition of the “Corporate Communications Pitch Competition”. 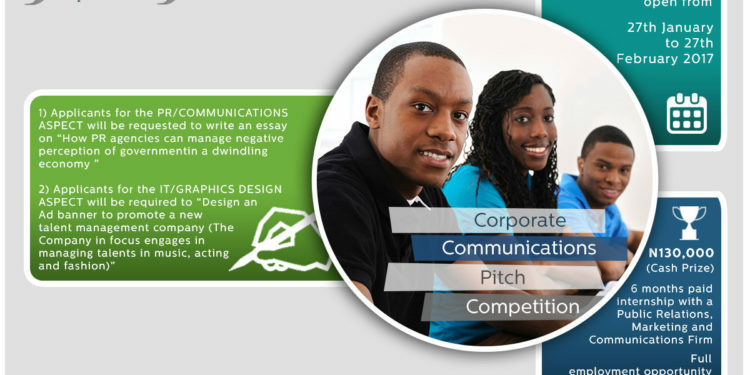 Grand Prize: Six (6) month paid internship with Sesema Public Relations which may lead to full employment and One Hundred and Thirty Thousand Naira (N130,000) cash prize for each category as well as and other prizes. The Corporate Communications Pitch Competition is supported by Jobberman, The Alpha Reach, BusinessDay, Myschool.com.ng and Olorisupergal. Your essay should be between 500-1000 words. Your name, course of study and essay topic must be clearly inscribed at the top right hand corner of the document. PLEASE NOTE: any application submitted outside the specified time frame would not be accepted.